Gracing one of the largest and most coveted locations on the sand within the gated and prestigious Rincon Point enclave, this newer residence is a beautiful and spacious home, offering panoramic ocean, island and coastline views from almost every room. 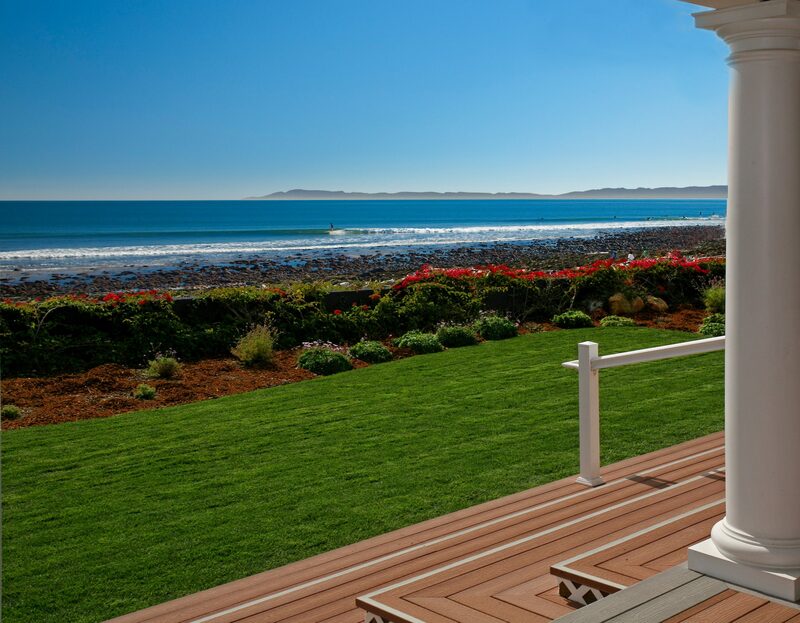 A vast beachside deck, with a front row view of the legendary surf break at Rincon Point, a charming outdoor stone fireplace for beachside gatherings and an ocean view spa, provides countless opportunities for entertainment and enjoyment. South facing, this four bedroom home is suffused with light throughout the day. Its design celebrates Robert A.M. Stern’s famed architectural style as interoperated by Jay Blatter, AIA. The living room features a brick fireplace, hardwood floors, built-in bookcases and open beam ceilings, complimented by three sets of French doors to the expansive deck. The formal dining room and rounded breakfast nook both offer ocean views, while a handsome wood paneled library, an office (which as serves as a bedroom if desired) and an upstairs circular tower room with 360 views are other lovely features of the home. The romantic beachfront master suite has a gorgeous ocean views from accordion French doors which invite the fuller appreciation of the ocean breezes. In addition the two additional bedroom suites, there is a lovely two bedroom guest apartment with a living room and private balcony. The residence was completed in 2007 and contains approximately 5,400 square feet, not including the attached three car garage which includes a bay suitable for an RV. The beautifully landscaped parcel boasts 121″ of beach frontage on approximately one acre. 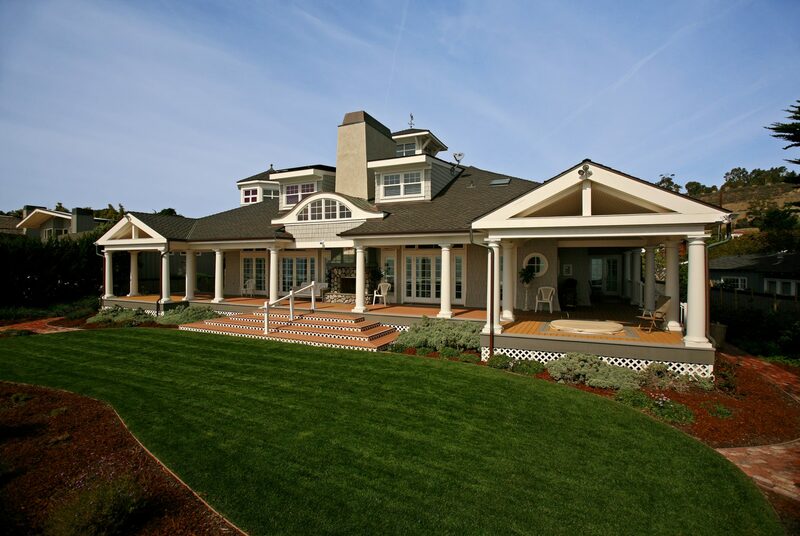 This is truly a beautiful home in one of the most spectacular beachfront locations imaginable.